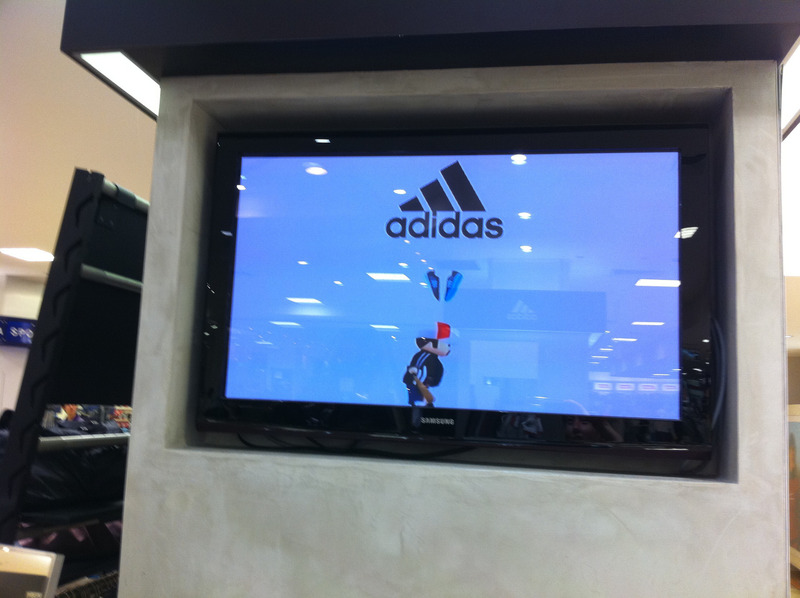 adidas winning video is showing at Singapore adidas Booth! Hello everybody! Here's some good news we would like to share with you! 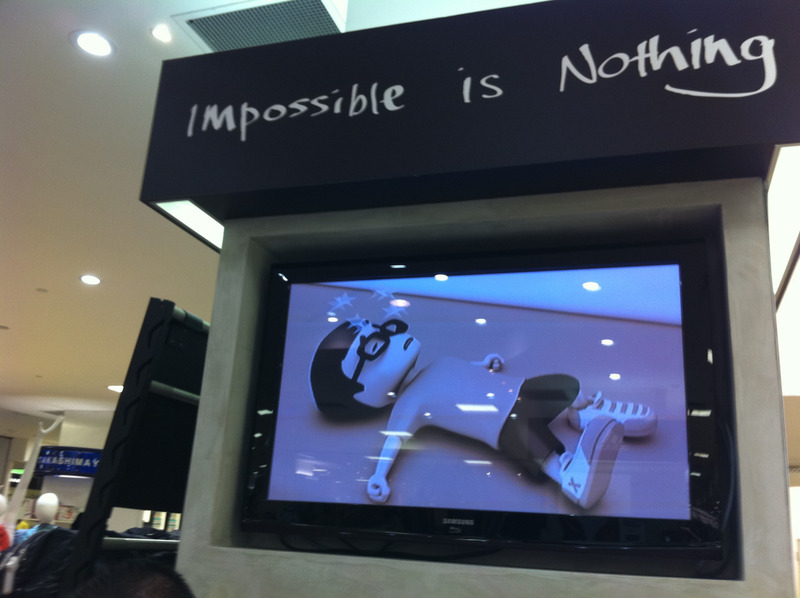 Our eYeka colleague was shopping in Takashimaya Singapore (one of the largest department stores in the region) when he found the adidas booth broadcasting the winning video Outstripped by Stripes by picklepinch (Joselito Jet Legaspi, Phillipines). You can see the photos he took of the display in the departmental store booth.